The term “bunion” refers to a bump or enlargement of the joint that grows at the head and side of the metatarsophalangeal joint (MTPJ) at the base of the hallux or (big toe). The change in position of the big toe can sometimes appear as overlapping the third toe (called Hallux Varus), and also rotate or twist, which is known as Hallux Abducto Valgus (HAV). 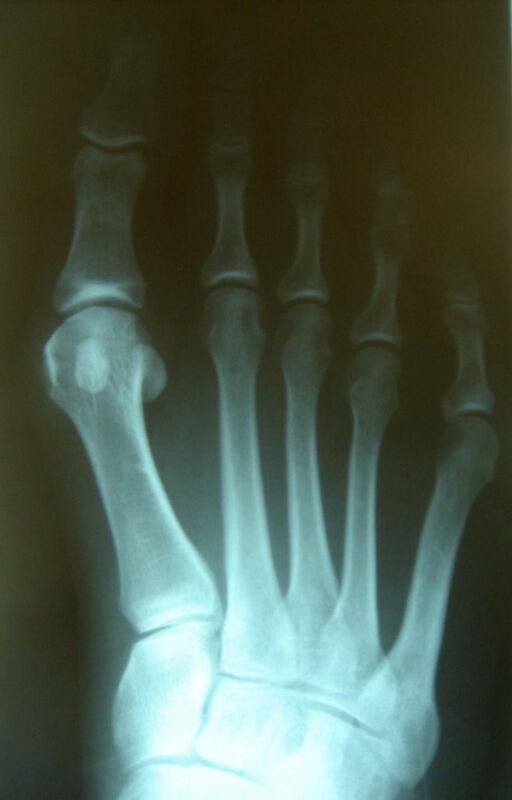 As the deformity progresses, the first metatarsal angles away from the others, and the tendons and ligaments surrounding the joint are stretched and altered in a way which does not allow them to function correctly. Over time the tendons on the top of the first toe act as a deforming force and cause the toe to be pulled even further. Bunions can occur from biomechanical or structural foot deformities, wearing shoes that are too tight, hereditary factors. Foot injuries, neuromuscular problems, and flat feet can also contribute to their formation. Bunion deformities are progressive and are characterized by multiple stages. The longer it takes to progress from one stage to the next, the less severe the resultant deformity will be. The factors which affect progressing of the bunion deformity include: walking surface, shoe gear, length of the patient’s stride, biomechanics, joint structure and range of motion, obesity, and inflammation of the joints. Treatment for bunions is aimed at ways to relieve pain and reduce further deformity. Pain relief begins with wearing wider shoes, which decreases the amount of irritation and rubbing from the bump. Protective padding, often made from felt material, can be used to eliminate the friction against shoes and help alleviate inflammation and skin problems. Orthotic devices work to help stabilize the joint and place the foot in the correct position for walking and standing, which can prevent the deformity from progressing. Other helpful treatments include toe spacers, bracing or taping methods and use of anti-inflammatory medications. Depending on the size of the enlargement, misalignment of the toe, and pain experienced, conservative treatments may not be adequate to prevent progressive damage from bunions. In these cases, bunion surgery, known as a bunionectomy, may be advised to remove the bunion and realign the toe. Goals of surgery are to maintain or restore a pain-free and full range of motion at the first metatarsophalangeal joint, restore the bony angles to a more normal value, and to achieve an acceptable cosmetic result. Pain varies depending on activity level and severe bunions may not always cause pain. 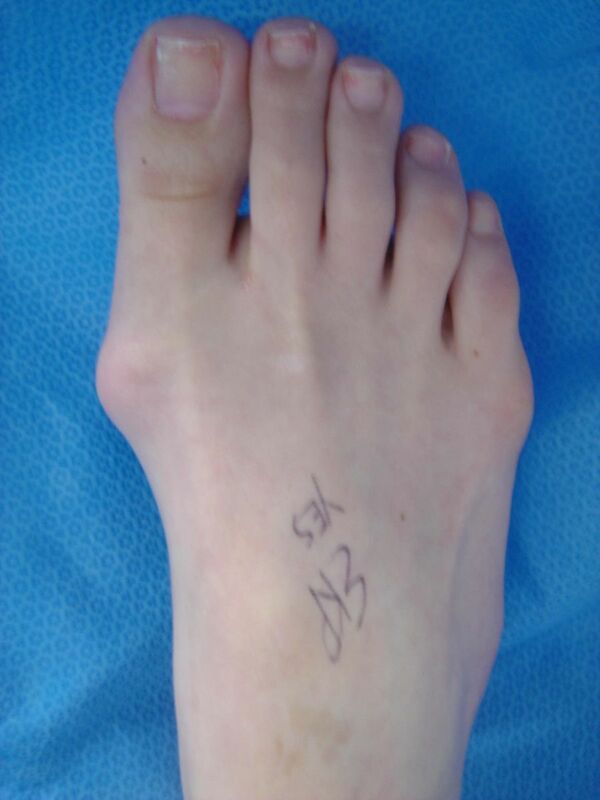 The duration or extent of bunion deformity that warrants surgery is quite patient specific and must be evaluated on an individual level. A podiatric physician is well trained to treat and perform surgery if necessary for painful bunion deformities. Do you have any additional questions about bunions or other foot deformities? Give the podiatrists at NorthPointe Foot & Ankle a call. We serve the Berkley, Southfield, Royal Oak, Oak Park and Ferndale areas.